Summer at Oxfam Ireland means festivals and each year at events across Ireland, a dedicated crew of volunteers generously give their time to help raise awareness and funds for Oxfam’s work worldwide. 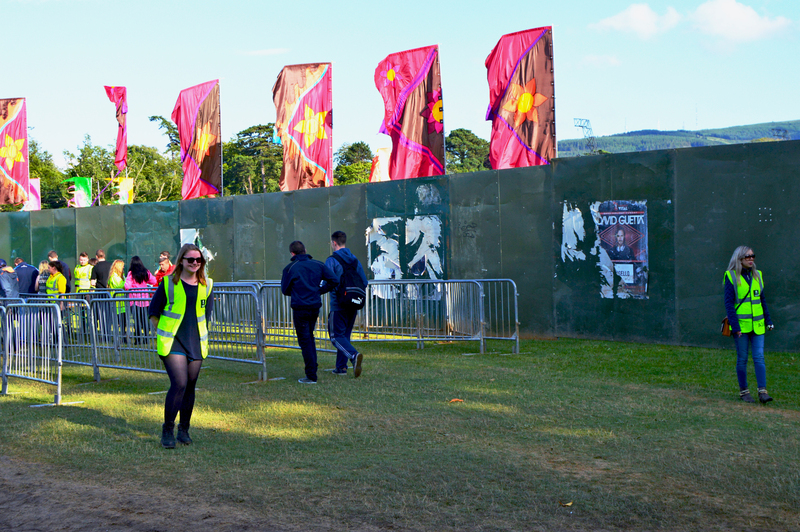 Our volunteers act as stewards at some of Ireland’s biggest music events and festivals, helping festival staff and security teams ensure that everyone has a fun and safe experience. In return, Oxfam Ireland receives a donation from the event organisers towards our work worldwide. Volunteering as a steward at festivals, events and gigs is a fantastic way to learn about music event management and gain valuable work experience too. As a steward, you can soak up the atmosphere, watch your favourite artist or band play for free and raise vital funds, from saving lives in emergencies like the current refugee crisis and helping people build better lives through long-term development work to speaking out on the issues that keep people poor. Sound too good to be true? Just ask our volunteers about their experience. Siobhan Scurry works the entrance at Longitude, Marlay Park in 2015. “Stewarding with Oxfam Ireland is the best way I can imagine spending my summer. I have worked at a heap of festivals/concerts for Oxfam including Paul Weller at Royal Hospital Kilmainham and Arcade Fire, Kings of Leon, Macklemore and Longitude at Marlay Park and I highly recommend it." 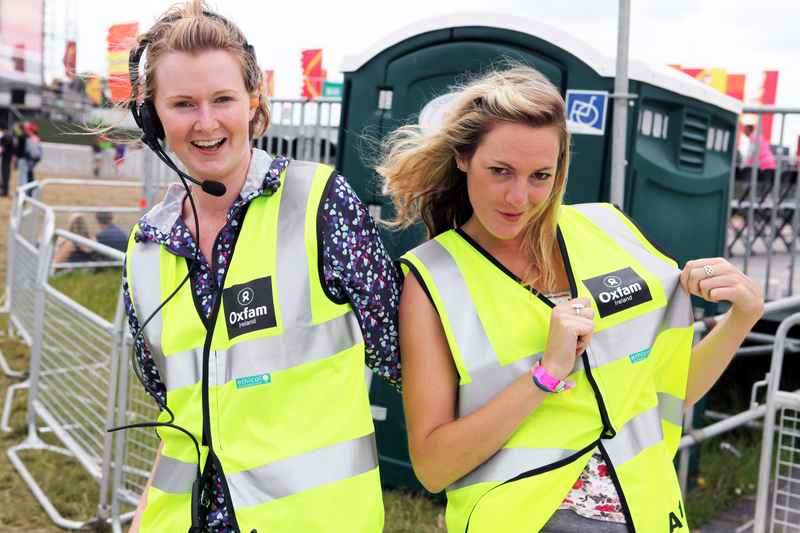 “Stewarding with Oxfam Ireland gives you the opportunity see amazing acts live and meet new people, all while giving you experience in the production of some of Ireland’s biggest summer events and experience working with the people who make them happen." 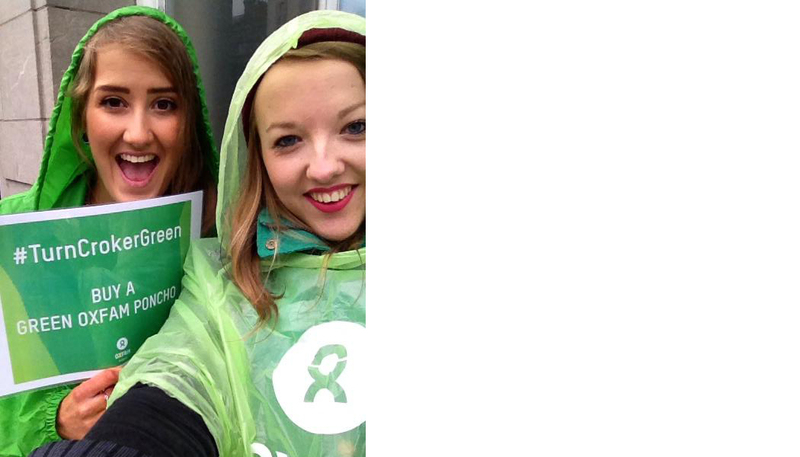 Rachel Stoops (right) and Molly Stevenson brave the rain at Croke Park for One Direction’s gig in summer 2014. “I got into Oxfam Ireland stewarding when a friend recommended it and after hearing how much fun it was I couldn't resist. I went on to the Oxfam Ireland website and put in my details and eagerly waited for an email. “I got asked to do various concerts and festivals but my favourite was One Direction at Croke Park, not only was I volunteering with my friend but we were seeing an awesome band. “We were selling ponchos for two reasons, the Irish rain and to #TurnCrokerGreen. We ended up raising a good bit of money for Oxfam Ireland’s work worldwide whilst having a great time. 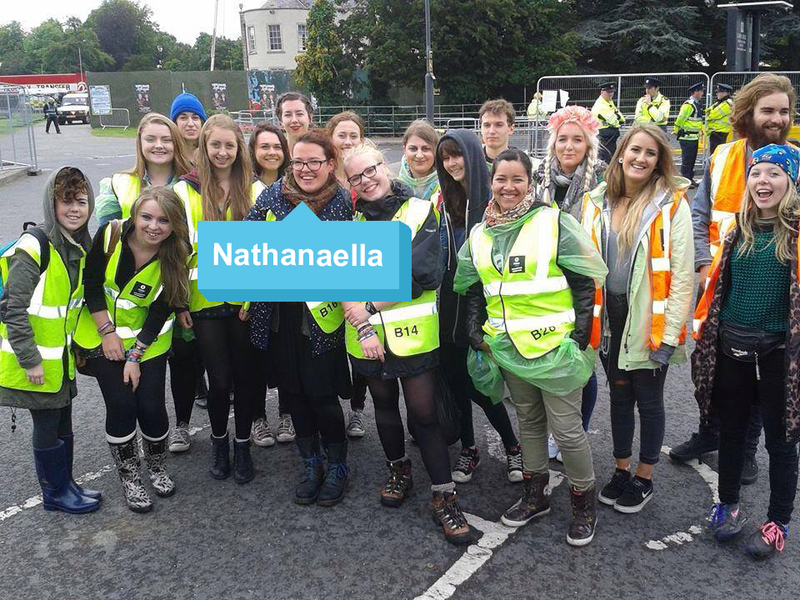 Nathanaella gets ready with the team of Oxfam Stewards at Longitude, Marlay Park in 2014. “Volunteering with Oxfam Ireland made my summer magical! I did some stewarding and campaigning too. Stewarding was an amazing experience. The security crew working at gigs and festivals welcome you into their family with open arms. Most of them have amazing stories, like Brian who had a cigarette with Faithless’ singer, and so much more! “All the volunteers are united together by the love of music and the will to change things. Laura O’Leary, Oxfam Ireland’s Public Engagement Executive, and the rest of the Oxfam crew take very good care of us, bringing crisps, water and sun cream (it was needed at one point…). “I really did not realise I was doing anything except having fun! I had a free ticket to the last day of Longitude but I decided to volunteer instead. Just because I could and because it's so much more fun! Each gigs I attended gave me an incredible smile and energy, even the rain would only make me happier! Applying to be a steward is simple. Just fill in the application form on our website to get started and fill your summer with festivals today.